0.91 MB, 1080x1920px, 8.2 secs. 19.21 MB, 1080x1920px, 8.1 secs. 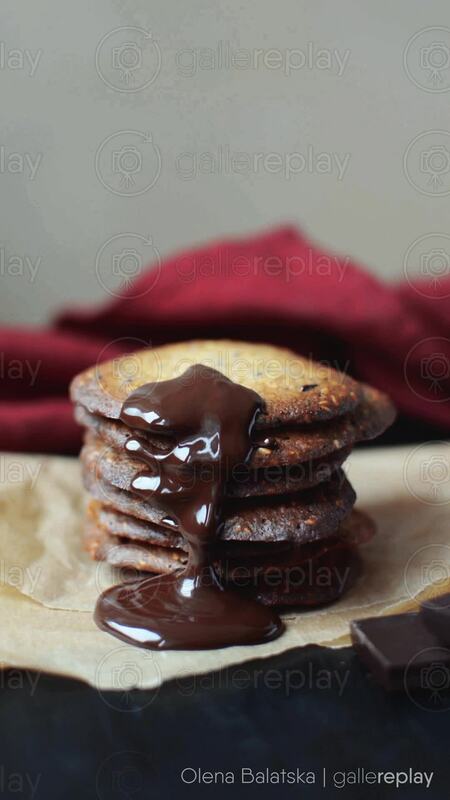 Melted chocolate sauce drips down the side of a stack of homemade sugar and sesame cookies.